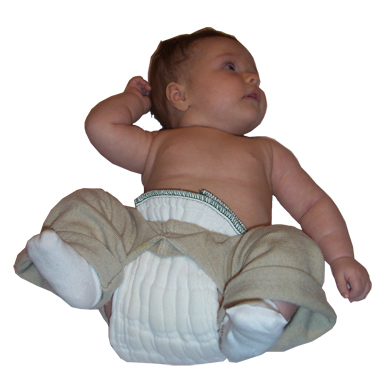 Wool is popular for cloth diapering because it dries quickly, is a breathable natural fiber, is renewable and sustainable, and when lanolized is self-cleaning when it comes in contact with urine for several uses. A ewe is a word for a female sheep. Its pronounced like “you” so Re-Ewes is a play on words which is pronounced like “re-use” and that is exactly what we do to make these wool pants. Each pair is handmade from a carefully selected thrift store sweater made from 100% wool. Like all EC Wear products, our Re-Ewes Split Pants are Eco-Friendly.